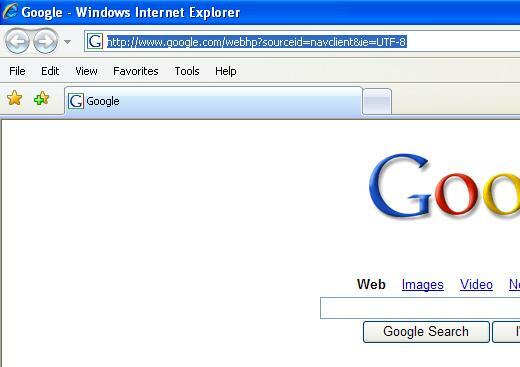 The new version of IE, Internet Explorer 7 (IE7) features hidden menu bar (or also known as the classic menus that Windows users familiar with, normally located on the top of the window) where the classic menu bar is hidden out of display to allow more space and screen estate for web pages. 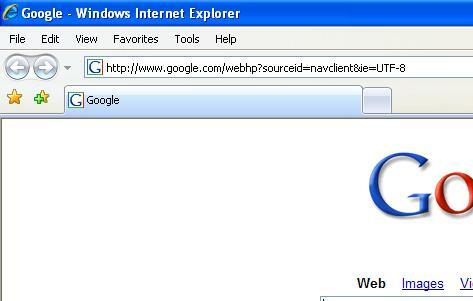 If you’re unfamiliar with the IE7 new default user interface layout without menu bar, and want to show and display the classic menus with “File”, “Edit”, “View”, “Tools” and “Help” options as in IE6 (Internet Explorer 6) where most users get used to, you can unhidden the classic menus bar temporarily or permanently. 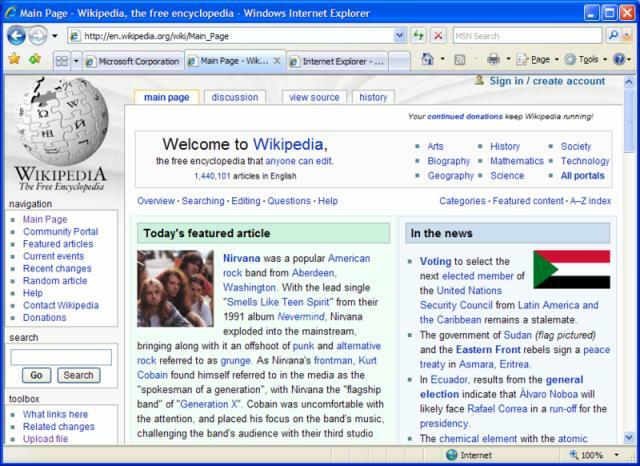 Default Internet Explorer 7 layout without the menu bar. Simply press the Alt key for a while and release it, and the menu bar will be displayed on top of the Internet Explorer 7 window. Click on Tools then select the Menu Bar (a tick should appear to the left of Menu Bar), and the Menu Bar will be shown until you unclick (or unselect) the Menu Bar from Tools menu again. Whichever method you choose, you will notice that the classic menu bar is displayed between the navigation toolbar which contains forward and backward buttons, address bar, refresh and stop button and search box, and the tabs bar. Default menu bar display position in Internet Explorer 7 user interface layout. Launch RegEdit (Registry Editor) and simply navigate to the above registry branch, and create a new DWORD registry key. Input the name of the key as ITBar7Position, and then double click on it (or right click on it and select Modify) and input the value 1. Alternatively, you can download the following IE7_menuontop registry hack file (link dead) which contains 2 files: ie7_menubarontop.reg and ie7_menubarontop_uninstall.reg. After downloading, extract the zip file, close all Internet Explorer’s windows, and double click on ie7_menubarontop.reg file or right-click on it and select Merge. Answer “Yes” to the warning message. Launch IE now and the menu bar will be on top of everything, just right below window’s title bar. Note that most third party toolbar such as Google Toolbar, Yahoo! Toolbar, Windows Live Toolbar, Alexa Toolbar and etc will also move above of the navigation bar, but below the menu bar. If you want to undo the setting of menu bar on top, simply delete the above registry key, or click on ie7_menubarontop_uninstall.reg. Top location of IE menu bar after registry tweak and hack.